[INTERVIEW] WEARABLES: A LIFE-CHANGING INNOVATION OR A FAD? If you haven’t spent the last decade under the stone, you must have heard about wearables. Smart watches, smart glasses and even smart jackets (!!!) has recently conquered the world of technology, becoming one of the hottest topics among entrepreneurs. It is nothing surprising really as their revenue is predicted to reach $73 billions by 2022 – that is A LOT of money! But do these numbers speak the truth? Isn’t the enthusiasm just fakely pumped by the Silicon Valley startups trying to sell you some new, fancy designed, but mostly completely useless stuff? Let’s find out! In an interview with gomobi.pl our COO Mateusz Stanuszek answered some questions about the wearables technology current state, their possible future applications and advised, what should their makers focus on, to achieve a great success. Let’s talk about wearables in the context of devices. The hype around the topic has been much lower recently. Did they not meet the users expectations? I wouldn’t say that the hype is lower – maybe in Poland, where wearables were never as popular as in the USA. But it changes. Wearable makers started to discover more practical applications of these devices, which go beyond playing games or checking Facebook on a smartwatch. Wearables can even save lives, as the example of our SiDLY Care client clearly states. For SiDLY, the Polish medical startup, we have prepared a mobile application that communicates with a special wristband, made by SiDLY. Thanks to it, even if you are in other part of the world, you can monitor your close one’s well-being by checking their heartbeat rate or reminding them to take their medications. And that is just a part of the device functionalities. I think that this is the exact direction that wearables should take: transform from a hipster gadget into a tool that genuinely gives people some practical value by enabling something, that was previously impossible. That sounds reasonable. Let’s change the subject to smartwatches. There are voices that Apple Watch will be released with 4G LTE connectivity. 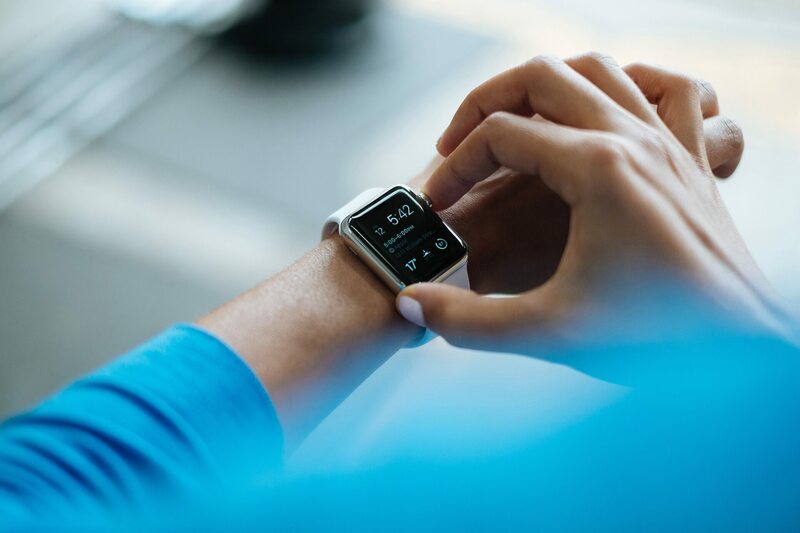 Do you think that thanks to it wearables will become much more popular? It is very much possible, especially since it would be something truly revolutionary. So far, most of the wearables are connecting with the world through technologies such as Bluetooth but it causes some limitations. The user has to be really close to his or her phone to be able to use the Internet – with a stand-alone SIM card and the possibility of connection via LTE, this problem will disappear. Besides, many smartwatch users admit that they have problems with installing new applications on their device: they don’t always know where to look for them and how to make them work properly. With the LTE module, they will no longer have any problems with this – they will be able to download and install the necessary applications directly onto their device. A lot of wearable gadgets have appeared lately, but they haven’t become much popular. One of the exceptions is Levi’s jacket. Maybe this is the direction, that the wearables should go into? This is why I stand by my opinion that wearables should go towards the direction of usability and give their users a true value. Yes, there will always be a bunch of people who will buy a gadget like this Levis jacket, but when it will stop being all cool and trendy – they will throw it away without hesitation. And with the wearables used in medicine, science or by law enforcement officers (smart glasses combined with a police directory, allowing you to catch criminals more effectively by scanning your face – this would be brilliant!) the situation will be so much different. So I hope that this will be the direction that the wearables will push with the much bigger force. Virtual Reality glasses stick on pretty strong. Is there anything new in this area happening lately? Yes, they stick, but unfortunately, they still remain an equipment much too expensive for the average user. We are using VR glasses at fairs, conferences or on other special occasions – but very few people have such equipment at their home on an everyday basis. In my opinion, instead of VR, we should be more interested in the development of AR. As Pokemon GO’s success has shown, users are much more likely to use AR technology because it usually does not require buying a very expensive equipment. In most of the cases, the only thing we need is our phone. Guess Snapchat has got the same opinion on that topic as me – despite the huge financial problems caused by Facebook and its Instagram Stories, the company is now working on the second version of its Spectacles glasses. There are rumors that they will have the function of an extended reality implemented. I am looking forward to their premiere because in this particular case there are only two possibilities: either it will be a product that will completely destroy Snapchat or, on the contrary, will lift it to the absolute top in the wearables category. Wearables are undoubtedly a very promising technology. Question is will they be used as eagerly by ordinary users as they are praised by tech freaks? Future will show. Right now all we can do is to cross fingers that the technology won’t be completely abandoned but in the contrary – it will continue to thrive. And who knows – maybe in the close future they will become a part of our everyday basis. Wanna read what is our opinion about Big Data and how the newest EU regulations will affect data collecting? Check the first part of this interview here. .